The Council for East and Central Africa Football Associations (Cecafa) has announced Kenya has stepped in to host two regional tournaments. 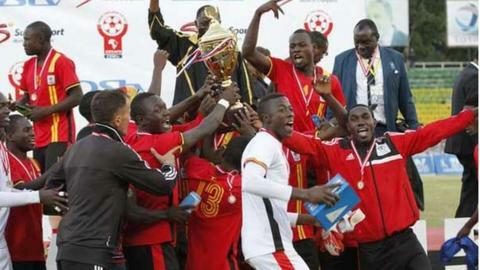 In November Kenya will host east and central Africa's regional championship, the Cecafa Senior Challenge Cup, instead of Sudan who withdrew due to financial issues. A month later the region's Cecafa Kagame Club Championship will also be held in Kenya instead of Tanzania. Tanzania were due to host the event in July and August but pulled out because of a congested league programme. The Tanzanian side Young Africans also reached the group stage of the Confederation Cup and so would not have been able to take part in the regional tournament. Azam of Tanzania will defend the title that they won on home soil last year, while Uganda are the defending Senior Challenge Cup champions after winning in Ethiopia in 2015.